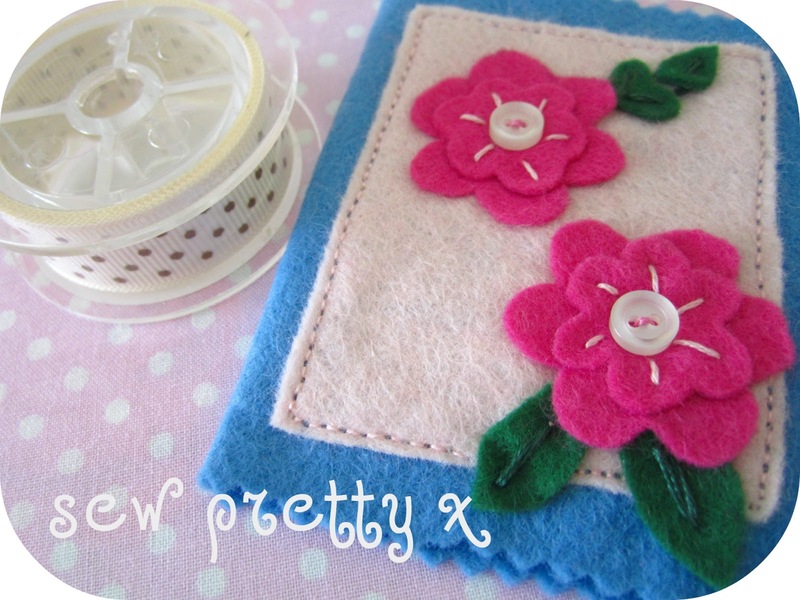 Pink Milk: The Travelling Craft Box Arrives! The Travelling Craft Box Arrives! I signed up for the lovely Laalaa's Travelling Craft Box back in January. It's such a great idea. Lynda started by filling a box with crafty bits (supplies, kits, magazines, un/finished makes, etc.) and sent it out to the person at the top of the list. The recipient is able to take up to 5 items of their choice out of the box but must, in turn, pop the same number of items back into the box before sending it on. This gorgeous hand sewn bag. 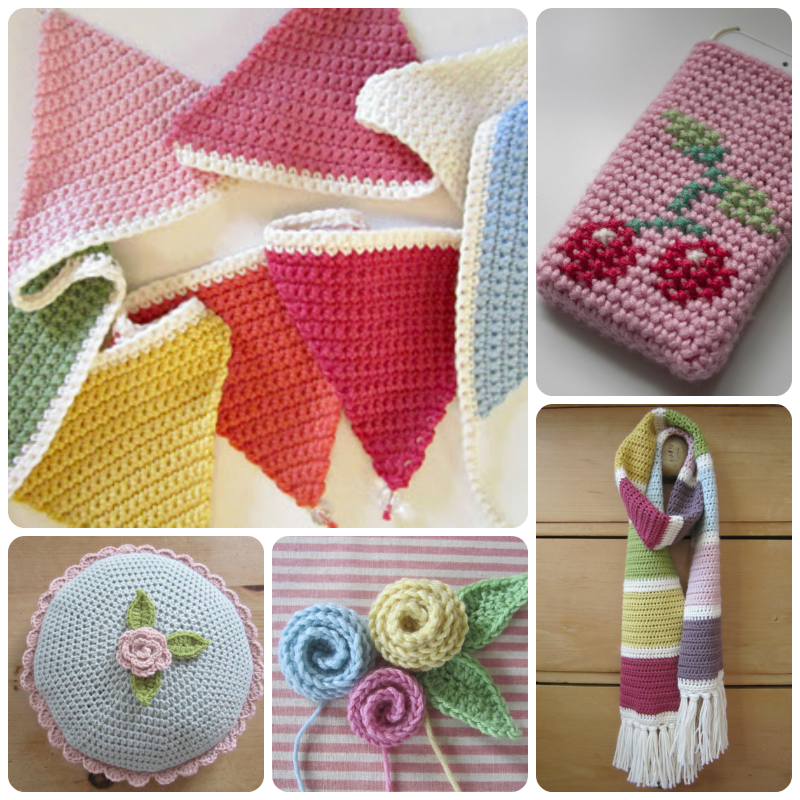 It's so beautifully made and absolutely PERFECT for my 'crochet on the go'. Thank you so much Tracy, it's the most thoughtful gift and I love it. ... and will duly replace them before sending the box on to Ali. I'll leave you with a picture of my pretty 99p daffodils just starting to unfurl. Lucky for you there isn't a scratch 'n' sniff option on the screen - they smell absolutely foul. Like very old wet nappies. I've probably got a few old wet nappies around here somewhere I could send you so you can check if your description is accurate!!! Ha ha! You are a funny sausage. I wonder how many people have been taking photo's of sminky (that's a family word of ours. A cross between smelly and stinky) daffs and then writing on there blogs how lush they are, how sunny they are but privately thinking "Gawd what a whiff!!" 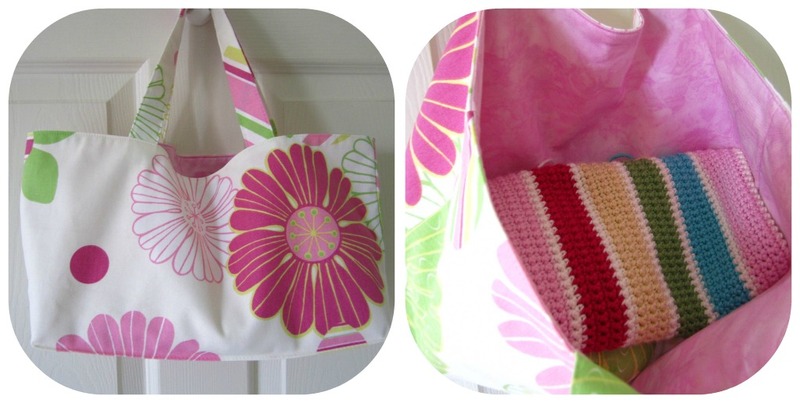 What a good idea that travling craft bag is. Weren't you a lucky girl to be gifted such a lush bag and pin cushion. Your photo's are so lovely an fresh as usual. Hoe you are well my little beastie. How fun! I love what you chose! 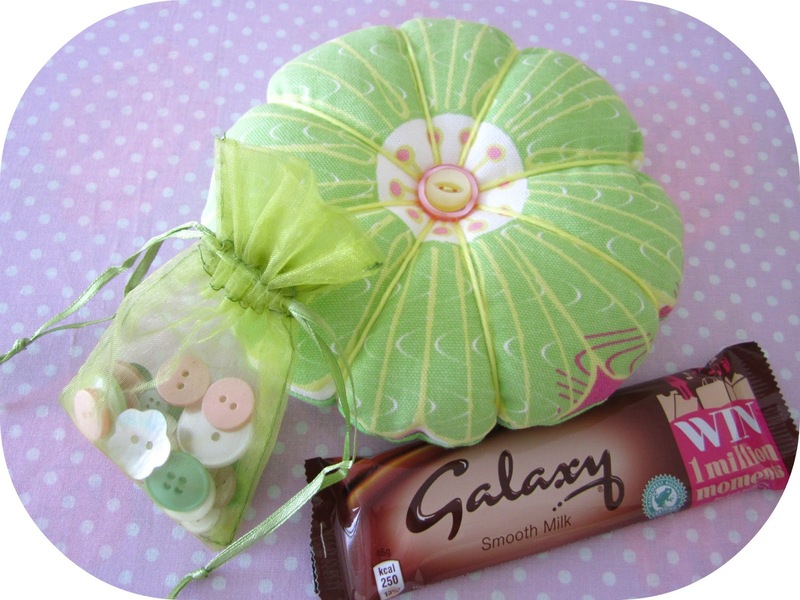 Gorgeous treats from the travelling craft box, Heather! What a nice idea! 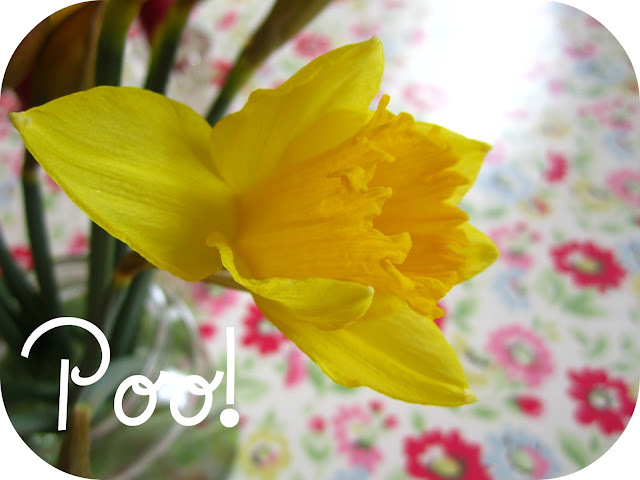 I'm going to buy a bunch of spring flowers tomorrow....but will be avoiding the daffs!! You were lucky - Tracy is a clever lady! Sorry to hear about the 'wet nappy' daffs though! An the box. I'd forgotten about it. I'm way down the list and will probably receive it in a couple of years time! Lucky old you. Your 'takes' look fab. What a fantastic idea......and a new to me blog to read too. I know what you mean about the daffs.....but the picture looks nice!!! I'm so glad you liked the bag and bits and bobs Heather shame about your stinky daffy!!! Wow what a wonderful treat! I love the idea of taking gifts out and putting new ones in. I also love your honesty about your daffs - what a scream!! Have a fab week. Oooh what a lovely bag :) and I like th elook of what's in it too!!! hehehe :) I too had some daffs last week that smelt horrific.....I even accused the cat of doing something in the kitchen. I couldn't wait for them to die to stinky things!! Die daffs, die!! And that's from someone who LOVES daffs!! Hi.... As requested I've looked at all the lovely things you've made your photos too and not sure what I like most....perhaps none because they all attract my attention...however I can say I hovered for a reasonable time over that gorgeous photo of your little nephew....beautiful....as for daffodils that smell like nappies....I prefer not to remember that smell thanks...phew!! !